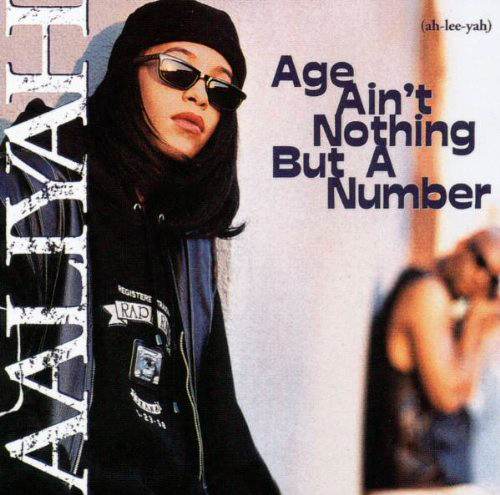 Here we have the very first album that jump started Aaliyah's career with her main hit singles Back & Fourth, At Your Best (You Are Love) and Age Ain't Nothing But A Number. Two more singles were also released internationally which were Down With The Clique and The Thing I like. When you listen to the album, you get a real feel good vibe for what the 90's was all about in terms of musicality, fashion and overall peoples outlook on life with the lyrical content. Personally, when I listen to this album it takes me back to that place of when I was younger, where life was simple and love was pure and honest. Now, there was however a lot of controversy within this album where a lot of speculation was spreading in regards to Babygirls relationship with R.Kelly. 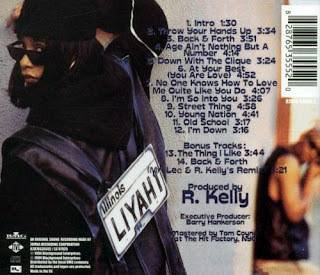 Since R.Kelly was one of the main producers of this album, including mentoring and being the lead song writer, he brought a lot of his 'New Jack Swing' sound during the production process. So throughout this time, there was obviously no doubt they had a close relationship, since they worked on a lot of songs together. Essentially, R.Kelly was showing Babygirl the ropes of what being a singer was all about, but at the same time I would not condemn the actions of someone older taking advantage of someone young and vulnerable, you're just asking for trouble... case closed. To Aaliyah's credit, she handled interviews very well when questioned on this, showing that if you smile and stay positive no one can really break you down, no matter how difficult the situation may be. She felt that the songs "Came at you kind of tough, a bit edgy, Hip-Hop, but the vocals can be very soothing". She also added that "Lyrically I want things to be different".